With only ten days left until the start of their season, the men’s crew team has been giving it their all off the water these past few months. As the training only intensifies with the coming weeks it is great to know that there will be a few familiar faces back on the water with them when the season starts. As of last week, the team has found out that former 2018 graduate Timothy McDermott and former 2007 graduate Peter Graves will return to work as part-time assistant coaches for the team. Both of which expressed great excitement about being able to return to campus to help the team out at the start of their spring season. Each of the returning alumni has a lot of talent to contribute to the team as they themselves have raised the bar of what it means to have been a rower at Trinity. 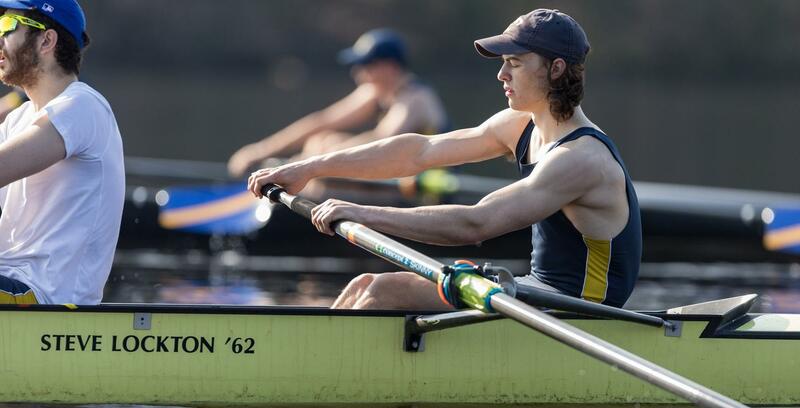 Timothy McDermott was a walk-on to the team his freshman year and never imagined that he would row, initially thinking about playing soccer or track. However, after a few practices with the team, he quickly fell in love with the sport. In his first year alone he excelled in the sport, earning the opportunity to row in the stroke seat for the novice New England Championship. For those that may not know, stroke seat also known as eight seat, is located towards the stern of the boat. The stroke is the one who sets the rhythm for the rest of the oarsmen, and demands a high level of strength and concentration. McDermott’s boat would go on to win a bronze at the New England Championship that year. In that same year, he was awarded the Wicks Award as the teams top novice rower. However, his record does not stop short in his freshman year. 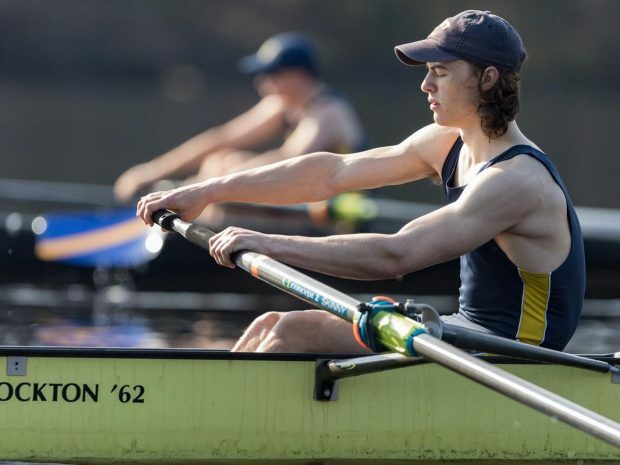 Mr. McDermott continued to excel in the sport, and despite having suffered a gruesome ankle injury he was able to return in his senior year and was in the boat that set the school record for the best time at the 2017 Head of the Charles (a well-known regatta held annually in Boston, MA). After Trinity, he accepted a position in the Trinity College admissions office as an International Admissions and Student Success Counselor. Another amazing alumnus that is making a return to campus is Peter Graves. At Trinity, Mr. Graves was one of the oarsmen in the 2005 Trinity boat that went to the Temple Cup at the Henley Royal Regatta. The Henley Royal Regatta is one of the best-known regattas in the world of rowing. This event occurs annually on the Thames river in England, and features some of the most competitive crews on all levels. Mr. Graves was also the stroke in his boat and beat Yale University by an incredible three lengths with a final time of 6.27. His boat is the last boat to win the Temple Cup at the Henley Royal Regatta. After Trinity Mr. Graves continued to row competitively and went on to become a five-time National Team member and competed in the 2012 London Olympic in the men’s quadruple sculls (holding an oar in each hand). In the Olympic round, they were a mere six seconds shy of earning bronze. He has recently come back to the Hartford area and will occasionally be assisting the team when he can throughout the spring. The men’s crew team definitely has a lot to look forward to for this upcoming spring season, and we wish them all the best as they prepare to transition into their season.